In the compact bone on the micrograph above, the parallel running inner lamellae can be seen, with osteocytes entrapped within the matrix. This cross section was made at the level of the diaphysis, so no trabecular bone ( cancellous bone) can be found. 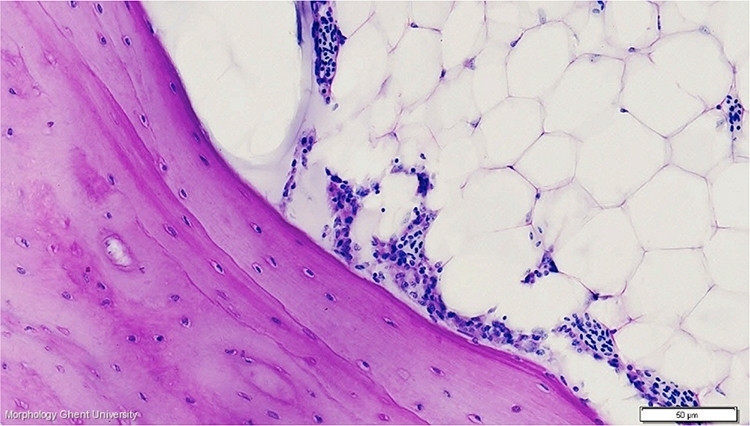 Compare this micrograph with the tibiotarsus of a laying hen (see: medullary bone).